The 1990s decade was a colourful era for the local film industry as most exciting productions hit the big screen and made serious impact internationally. It was the era that gave birth to films like “Jit” (1990), “Neria” (1992), “More Time” (1993) and “Everyone’s Child” (1996). “Yellow Card” apparently came with the same breeze as it was done just a year off the 90s in 2000. The outstanding movies still remain some of the best productions to come out of the reels of Zimbabwean filmmakers. It was an era that saw local actors and actresses shining internationally through films made in Zimbabwe. Among the shining actresses of that time was Jesesi Mungoshi who played the lead role in “Neria”. As Neria, Jesesi takes audiences through a touching story of a widow who suffers at the hands of her cruel and greedy brother-in-law Phineas (played by Dominic Kanaventi) after the death of her husband. Neria goes through hard times as Phineas takes her belongings and children claiming to be the heir to everything his late brother left. Through the harsh times, Neria’s only solace comes from her brother Jethro (Oliver Mtukudzi) who, among other efforts to console his sister, composes a song “Neria” hoping its lyrics can wipe her tears and ease her grief. It is indeed a touching story and when Jesesi went down memory lane on Wednesday afternoon, she recalled how she was so much into the Neria character. “It was an emotional time even in my real life because I surrendered myself to that character. I actually lost weight, about three kilogrammes, during the five weeks of shooting because I was in Neria’s world. I experienced Neria’s stress and pain. “Even at home I distanced myself from my family. I just told them to imagine I was not around. I was lost in Neria’s predicament. I was so much into it. I believe that is the secret with acting. You have to be deep into a character to portray the actual actions and emotions. They just call it acting but it is a world of ‘creative reality’. Actors can sense and feel that ‘reality’ on set,” Jesesi narrated. 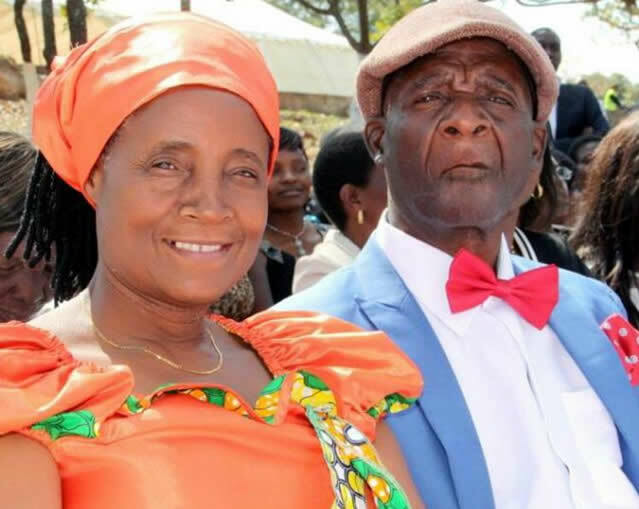 It should have been easy for Jesesi to live in borrowed reality because she had observed her husband, renowned author Charles Mungoshi, in similar circumstances when he was creating his writings. And Jesesi said it is not easy to understand artistes as they live in a creative world that sometimes takes them away from themselves. She admits it was not easy to understand her husband in the early days of their marriage. When they met in 1972 Charles had only published one book and all his other publications came when they were together. She would observe him writing plays and novels like “Waiting for the Rain”, Coming of the Dry Season”, “Inongova Njakenjake” and “Ndiko Kupindana Kwamazuva” among others and she adapted to the world and circumstances of creativity. Jesesi is happy her husband eventually inspired her to venture into acting. Her acting career began when she featured in a television drama based on her husband’s book “Inongova Njakenjake”. “It was in 1985 when it all began. A team from Zimbabwe Broadcasting Corporation came to our house to seek permission to do a drama based on ‘Inongova Njakenjake’. After the agreement, they said they would work with a drama group from Mabvuku, but were still looking for someone to play the role of a mother. As the journey progressed, Jesesi featured in other television dramas that include “Ndabve Zera”, “Roja”, “Mainini Franscisca”, “Ngozi” and “Makunun’unu Maodzamwoyo”. Her outstanding performance on screen saw her landing a role in a series titled “African Journey”, which became her last stepping stone to the major role in “Neria”. John Riber, who produced and did the screenplay for “Neria” was part of the production team for “African Journey”. When they completed “African Journey” in 1989 preparations for “Neria” began and Riber recommended Jesesi for a role in the new production. “Neria” director Godwin Mawuru and writer Tsitsi Dangarembga knew Jesesi from her roles in television dramas and it was easy for her to impress them at auditions for the lead actress. In August 1990, she was on set as Neria, making a historic film that is still revered 25 years later. Jesesi says, despite living in Neria’s sad world during shooting, she was impressed by the professionalism the team had and was happy to work with Kanaventi who was a renowned actor by then, Mtukudzi who had already made a mark in music and other actors like Antony Chinyanga, Claude Maredza and Emmanuel Mbirimi. After “Neria” Jesesi got more interested in film production and established her company JM Productions. She became a producer and was part of the award-winning documentary on the late Mozambican president Samora Machel titled “Camarada Presidente” that was done in Mozambique for about 18 months. JM Productions also did local documentaries that include “Journey to the Ocean” and “Mysteries of Mt Nyangani” as well as a film titled “Rwendo” that was made in the United Kingdom. The biggest mishap Jesesi experienced in her career was when she collapsed on set during the shooting of “African Journey”. “I was pregnant and I was initially reluctant to take the role in ‘African Journey’, but Remias Musasa who was a producer with ZBC convinced me to go for it. I told him I was pregnant and he said it was a rare coincidence because I was to play a role of a pregnant woman. But such challenges have made her stronger to face tough situations in the industry and in family life. It is the strength that keeps her going despite having to spend most of her time caring for her ailing husband. Charles fell into a coma in 2010 and he has not fully recovered. He can hardly speak, he cannot read and he cannot write. Jesesi has been taking care of him for the past six years while she has also worked hard to ensure the work Charles started does not end. With the help of sons, she launched Mungoshi Press that published her husband’s latest book “Branching Streams Flow in the Dark” in 2013. Her sons Farai and Charles (Junior) have also published “Behind the Wall Everywhere” and “Candle Light Thoughts” respectively under the family stable. Jesesi’s JM Productions recently shot a film for the book “Makunun’unu Maodzamwoyo” and are raising funds for the remaining production processes. She hopes that Charles will get fit soon so that they can take JM Productions and Mungoshi Press to higher levels together.